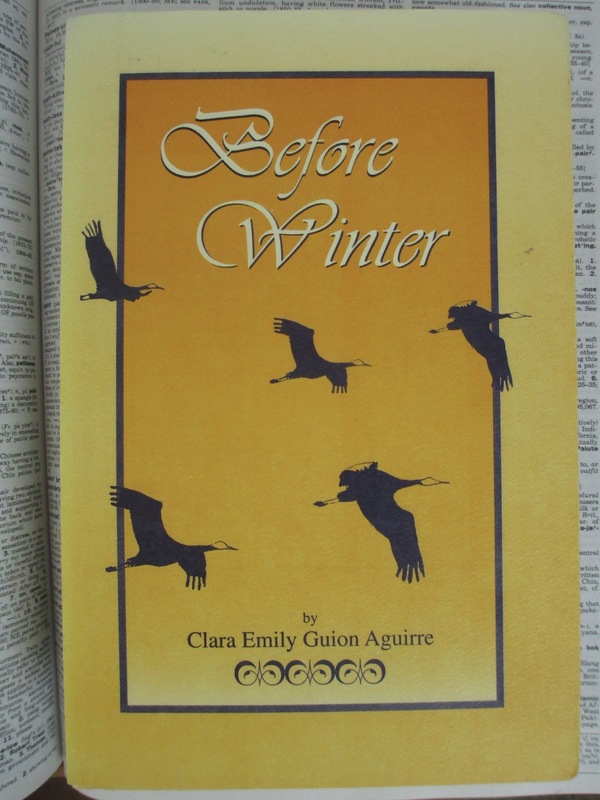 Last year, I fell in love with a random book of poetry that I found at a thrift store; it was The Popular Tree by Clara Emily Guion Aguirre. That book spurred me on to seek out more poetry of the Southwest and thereby reignited my interest in poetry. I remembered that I like poetry that deals with the imagery of nature--that's one of the reasons why I enjoyed reading works from John Keats and William Wordsworth and the rest of the Romantics, even if they were writing from such a different time period and setting. The first book was published in 1988; I believe this one is from 1992, which was just five years before Clara died (she was born in 1906). A little refresher: she was born in New Mexico but moved to Texas after she got married and lived there for the rest of her life. Now, this second volume is larger and contains more poems than the first one, but it seems to me that these are all newer poems. One of the things I found so interesting about the first book was that it spanned her life, from youth and new marriage and motherhood through to old age. The poems of the second volume aren't dated, but they do all seem to be written from later life; that's what their themes and content imply. That is, you can tell as much even from the title. Before the winter that ends life. Clara knew that her days were coming to a close. While The Poplar Tree also had some sad content, overall this one is more somber. There are many poems in here about the loss of her husband, possibly too many because the theme does become repetitively melancholy, which takes away from Clara's talent as a poet to show her understanding of life as a whole. She does show this in other poems, though. Many reflect on youth versus age. The seasons. Nature versus modern (housing, food, stores, etc.). There was a lovely poem about a volcano, "Eruption" on page 129; I've always loved the imagery and symbolic qualities of volcanoes. So, like with her first volume, there is still a lot of focus on nature; it's just less specifically southwestern this time. For instance, she writes often about the sea in here (often being at least a few times). I forget that Texas does have a coast. And that very interesting to me: I am also interested in both the Southwest and the sea, so these poems offered me the chance to look at how someone else united the two. There are more poems in this volume, and because I found that their quality varied (with some being quite good and others more mediocre), I'm guessing that that means that these were edited down less. Especially if the first volume was selected from almost her entire life, while these were mostly taken from poetry she wrote in her last few years, then that may be a possibility. As I mentioned, some of them were a bit repetitive and would therefore have appeared better if there were less of them. So I may have enjoyed the first book better, in a way. But that isn't to say that I didn't also enjoy this one. 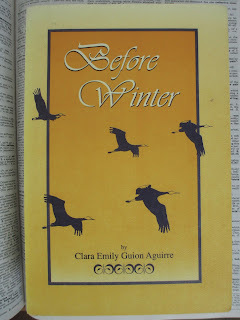 Right away when I started reading, I felt that same connection to Clara's writing that I'd felt before; it's something about her perspective and what she sees and what she chooses to see and the simplicity and beauty with which she describes the world and its truth. There were some stunning pieces in here. "Strange Kinship," for instance, on 204-205, or "My Faith" on 207, just to name a couple. Clara understood the world and she understood life, and so in reading her poetry, I'm reminded of the truths that I know. There is a beauty in the various steps of life and a harmony in knowing how it all works together, and she managed to capture that. Truly, her poetry is some of my favorite. Poetry is like that: it must speak directly to you, otherwise it doesn't matter how famous it is or what literary devices it uses if it doesn't convey to you.